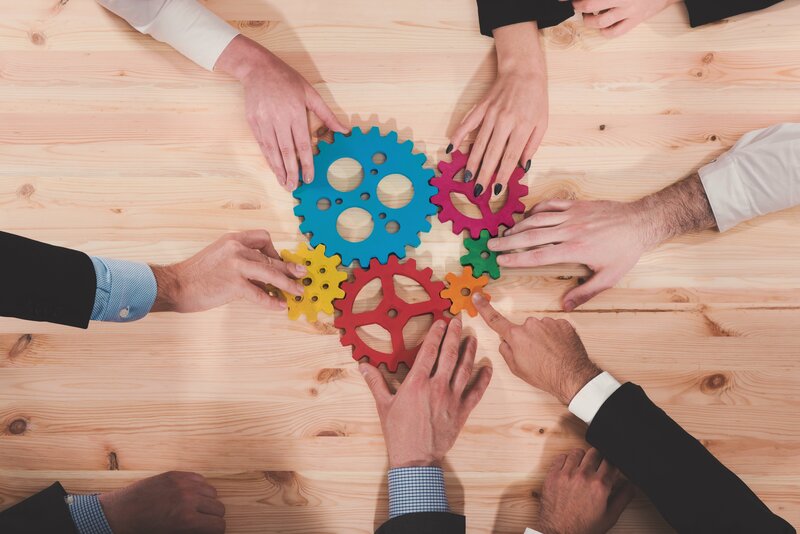 As more types of funds make their voices heard in corporate boardrooms, companies of all sizes are being forced to prepare for the possibility of an activist approach. 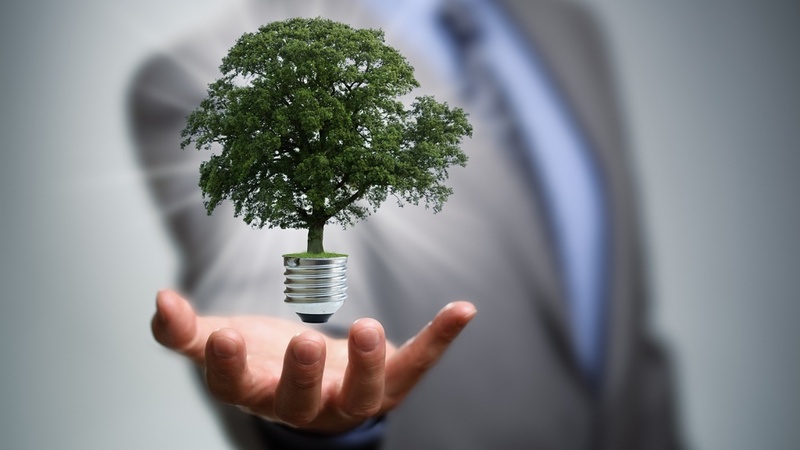 New factors, such as calls for a greater emphasis on environmental, social and governance (ESG) issues, are changing the game as well. How will these and other trends shape shareholder activism in 2019? 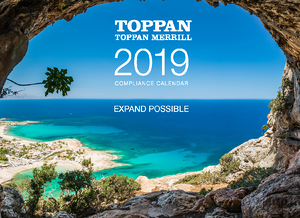 Mergermarket on behalf of Toppan Merrill spoke with four experts on how shareholder activism will impact dealmaking in 2019. Guarding a whistleblower’s back. In the Sarbanes-Oxley Act of 2002 and the Dodd-Frank Act of 2010, Congress encouraged employees—including in-house lawyers—to report corporate fraud by shielding them from retaliation. Only Dodd-Frank offers a bounty: 10%-30% of sanctions over $1 million obtained in an enforcement action based on “original information” given to the SEC. 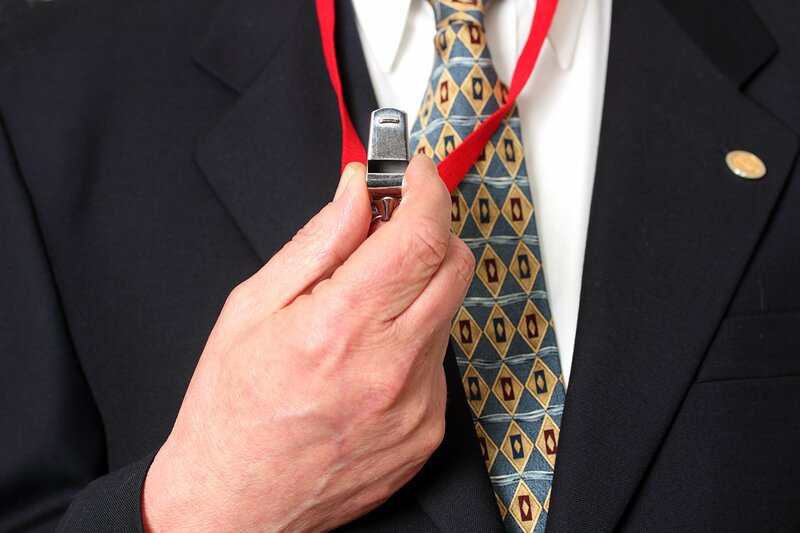 The whistleblower must file a complaint with the Secretary of Labor not more than 180 days after facing retaliation and must exhaust administrative remedies before suing the employer under Sarbanes-Oxley. Under Dodd-Frank, explain attorney Kelly Crawford and law student Gerardo Adrian Galvan, the whistleblower may sue the employer first—and within six years. Congratulations to all of the corporations and law firms that selected our transactions services, including German American Bancorp Inc w/ Bingham Greenebaum Doll LLP, Cyclerion Therapeutics Inc w/ Cyclerion Therapeutics, Inc., Cousins Properties Inc w/ Goodwin Procter LLP, Cyclerion Therapeutics Inc w/ Morgan, Lewis & Bockius LLP, Cousins Properties Inc w/ TIER REIT, Inc., Cousins Properties Inc w/ Wachtell, Lipton, Rosen & Katz, German American Bancorp Inc w/ Wyatt, Tarrant & Combs, LLP, Majesco w/ Sheppard, Mullin, Richter & Hampton LLP. Some experts view long-termism as a superior investment strategy, or as a guiding philosophy that makes it easier to do business. For instance, Apple announced last year that it would no longer report quarterly sales numbers for individual business units, as part of an effort to refocus investors on longer time horizons. A 2016 survey by FCLTGlobal and McKinsey found that 23% of CEOs would like their strategic-planning timelines to be five years or greater, when in reality only 11% said they are able to look that far ahead. 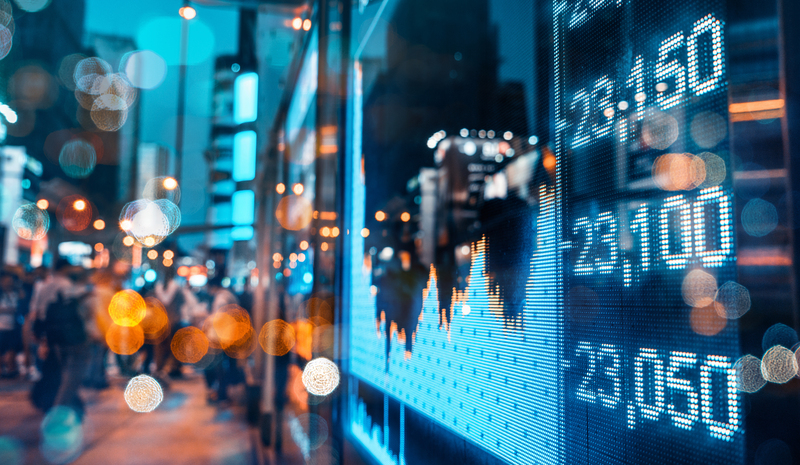 Mergermarket on behalf of Toppan Merrill spoke with four experts to explore the most important factors influencing long-termism in the current environment. Shareholder activists are making their presence felt in new ways. As more types of funds make their voices heard in corporate boardrooms, companies of all sizes are being forced to prepare for the possibility of an activist approach. The most common types of demands are changing as well, partly in response to the hot M&A market. There were 81 demands for strategic alternatives in 2018 North America campaigns, compared to 64 such demands in 2017, Activistmonitor data show. DIMENSIONS interviewed Professor Paul G. Mahoney, a member of the SEC's Investor Advisory Committee (IAC), on how the IAC operates and how its recommendations influence the SEC’s disclosure rulemaking, as well as other securities disclosure topics. Paul G. Mahoney is a professor at the University of Virginia School of Law, where he also served as the dean from 2008 to 2016. Professor Mahoney’s teaching and research interests include securities regulation, law and economic development, corporate finance, and financial derivatives and contracts. He is the author of Wasting a Crisis: Why Securities Regulation Fails (University of Chicago Press, 2015) and has served on the IAC since mid-2018. This interview expresses the views of Professor Mahoney and does not necessarily reflect the views of the IAC, the SEC, the University of Virginia, or any other organization. 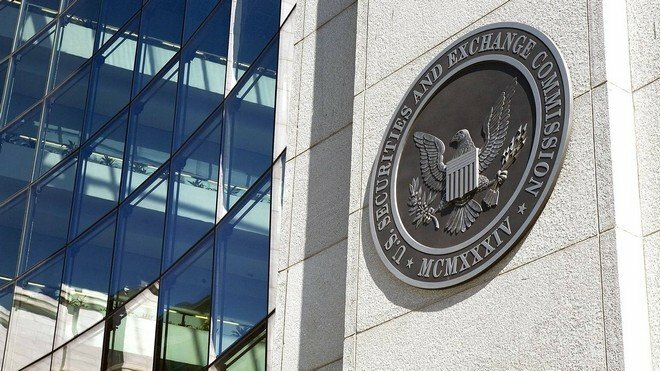 There were 46 transactions filed with the SEC last week. 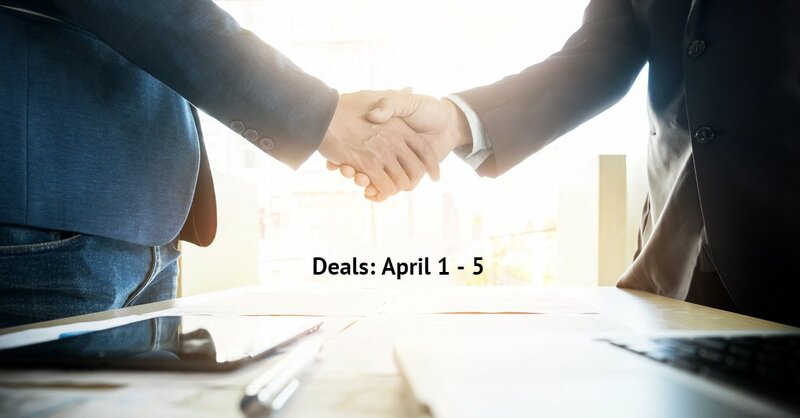 Congratulations to all of the corporations and law firms that selected our transactions services, including Target Hospitality Corp w/ Allen & Overy LLP, Applied Therapeutics Inc w/ Applied Therapeutics, Inc., Applied Therapeutics Inc w/ Cooley LLP, Milestone Pharmaceuticals Inc w/ Cooley LLP, Nextcure Inc w/ Cooley LLP, Applied Therapeutics Inc w/ Davis Polk & Wardwell LLP, Axcella Health Inc w/ Goodwin Procter LLP, Nextcure Inc w/ Hogan Lovells LLP, First Financial Corp w/ Jones Walker LLP, Axcella Health Inc w/ Latham & Watkins LLP, Milestone Pharmaceuticals Inc w/ Milestone Pharmaceuticals USA Inc., Milestone Pharmaceuticals Inc w/ Osler, Hoskin & Harcourt LLP, Ep Energy Corp w/ Paul, Weiss, Rifkind, Wharton & Garrison LLP, First Financial Corp w/ SmithAmundsen LLC, Milestone Pharmaceuticals Inc w/ Wilmer Cutler Pickering Hale and Dorr LLP, Blockstack Token Llc w/ Wilson Sonsini Goodrich & Rosati, PC. In the current era of the 24-hour news cycle, focusing on the long term can seem like a novelty. And yet many corporate executives and investors have begun emphasizing the benefits of looking beyond the upcoming quarterly or annual financials. However, not everyone agrees that longer-term thinking is a worthy priority, and some disagree about the length of time worth prioritizing. 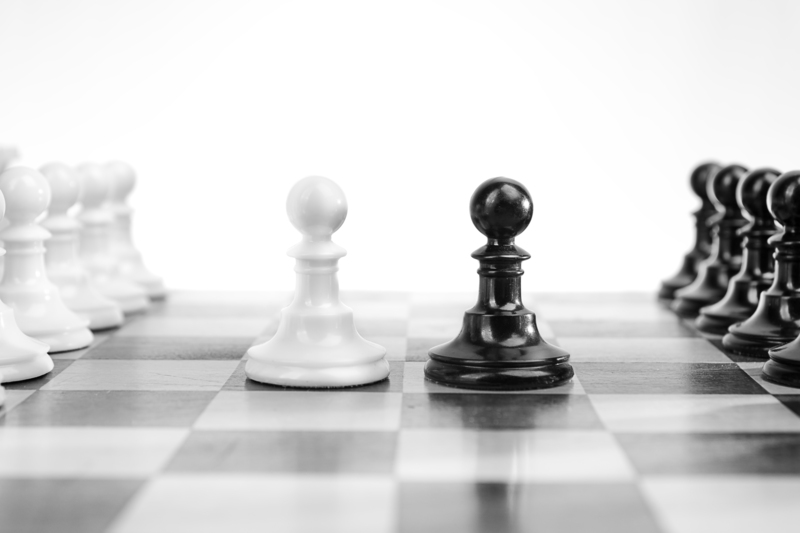 The balance of power between shareholders and companies is constantly evolving, and both sides can claim major victories in recent times. Activists scored a win at eBay, for instance, which in early March agreed to conduct a strategic review of its assets and add three new board seats at the demand of Elliott Management and Starboard Value. In another high-profile battle, Elliott Management’s year-long campaign for change at Korean automotive company Hyundai has stalled amid resistance from other shareholders. Continue on to view March's top law firms. There were 53 transactions filed with the SEC last week. Congratulations to all of the corporations and law firms that selected our transactions services, including Sciplay Corp w/ Cleary Gottlieb Steen & Hamilton LLP, Millendo Therapeutics Inc w/ Cooley LLP, Oglethorpe Power Corp w/ Eversheds Sutherland LLP, Evo Payments Inc w/ EVO Payments, Inc., Anworth Mortgage Asset Corp w/ Greenberg Traurig, LLP, Evo Payments Inc w/ King & Spalding LLP, Evo Payments Inc w/ Latham & Watkins LLP, Sciplay Corp w/ Latham & Watkins LLP, Onconova Therapeutics Inc w/ Morgan, Lewis & Bockius LLP, Bioxcel Therapeutics Inc w/ Sheppard, Mullin, Richter & Hampton LLP, Ocular Therapeutix Inc w/ WilmerHale, Target Hospitality Corp w/ Winston & Strawn LLP. Shareholder activists are making their presence felt in new ways. 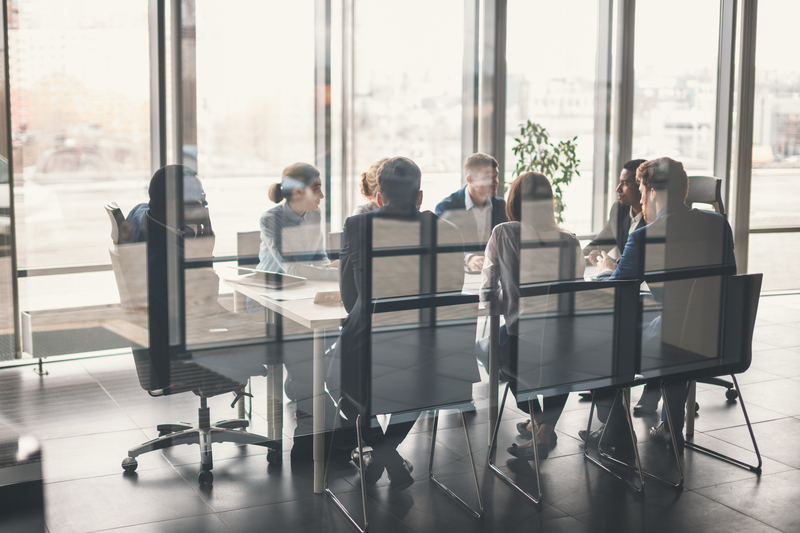 As more types of funds make their voices heard in corporate boardrooms, companies of all sizes are being forced to prepare for the possibility of an activist approach. New factors, such as calls for a greater emphasis on environmental, social and governance (ESG) issues, are changing the game as well. Last year closed on a high note, with global M&A value reaching the third-highest level on record at US$3.53 trillion. On the IPO front, several of the largest “unicorn” companies are gearing up to go public this year. 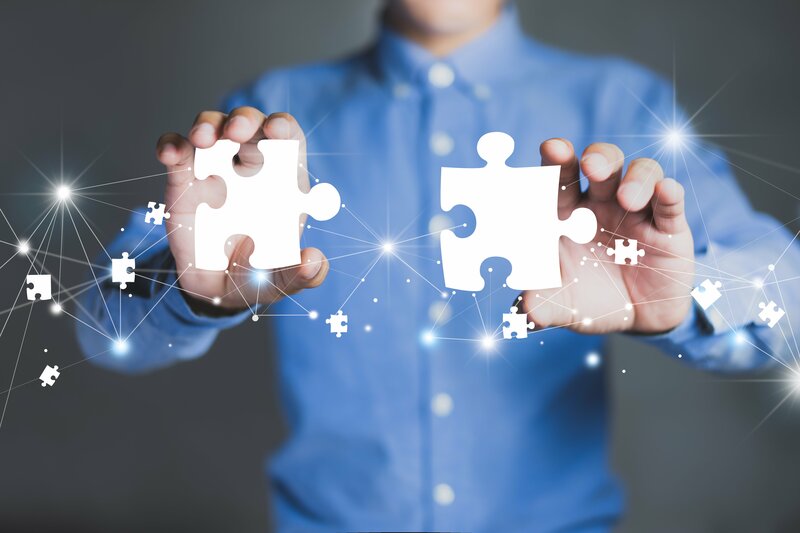 To understand what dealmakers expect from the M&A market in the coming year, Mergermarket on behalf of Toppan Merrill spoke with six experts. 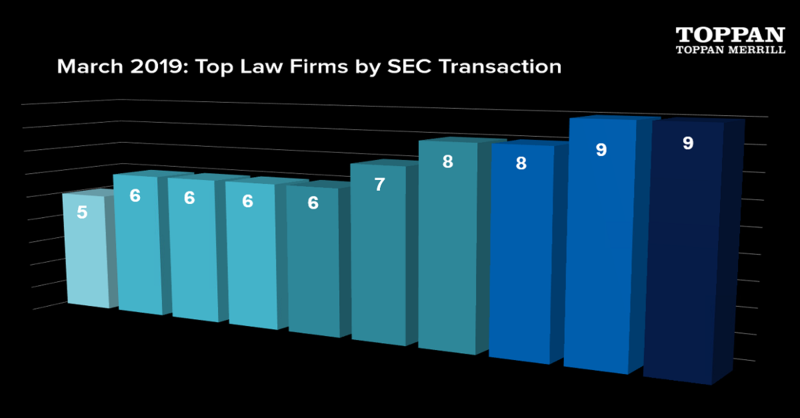 There were 49 transactions filed with the SEC last week. Congratulations to all of the corporations and law firms that selected our transactions services, including Bridgewater Bancshares Inc w/ Barack Ferrazzano Kirschbaum & Nagelberg LLP, Delmar Bancorp w/ Buckley LLP, Mallinckrodt Inc w/ Mallinckrodt Inc., Delmar Bancorp w/ Troutman Sanders LLP. 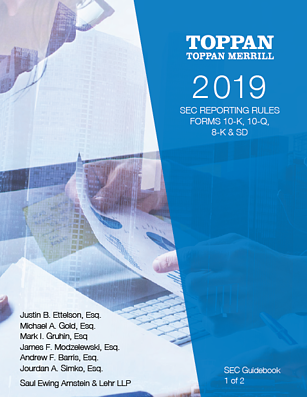 In March 2019, the SEC adopted final amendments to its rules which expand the XBRL tagging requirement to Form 8-K filings. 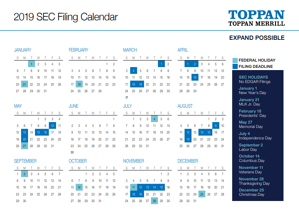 And it’s not just for selected Form 8-K filings; it’s for all of them. 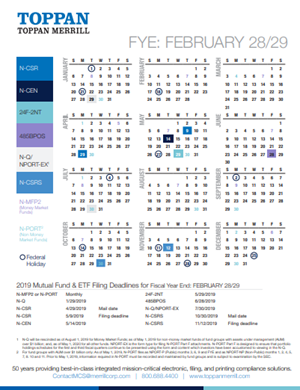 Form 8-K is the interim report that companies must file with the SEC to announce major events that shareholders should know about. 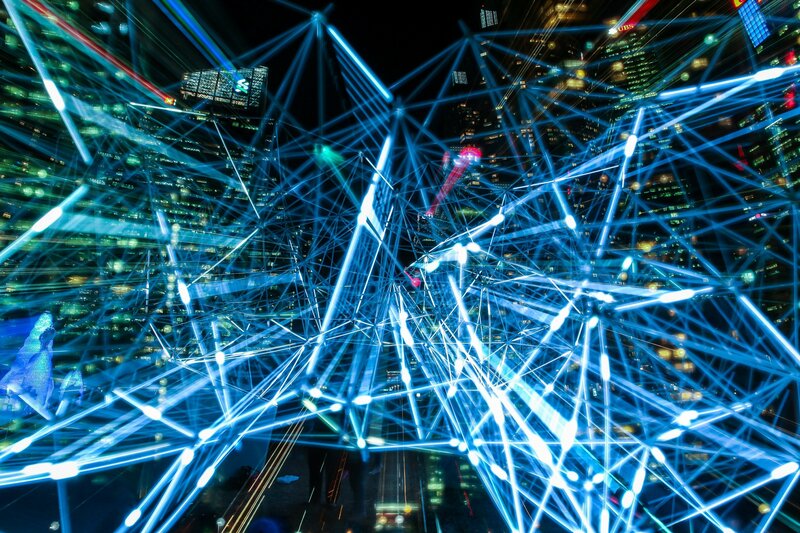 Previously the Form 8-K did not have any XBRL structured data tagging required (with the exception of when a Form 8-K included restated financials that were originally filed with XBRL), but it will soon require the inclusion of computer-searchable XBRL tags. Regulators, registrants and investors will need to be aware of the changes to take advantage of, and comply with, the new requirement. The unicorn ranks have expanded rapidly in recent years, with around 150 companies in the US alone now holding the vaunted status, and roughly the same number abroad. This expansion, together with the wave of potential unicorn IPOs, raises the question: Does unicorn status even matter anymore? To examine what lies ahead for unicorn companies in the near future, Toppan Merrill commissioned Mergermarket to speak with four experts. Congratulations to all of the corporations and law firms that selected our transactions services, including Liquidia Technologies Inc w/ Cooley LLP, Liquidia Technologies Inc w/ DLA Piper LLP, Senmiao Technology Ltd w/ Ellenoff Grossman & Schole LLP, Hookipa Pharma Inc w/ Goodwin Procter LLP, Neos Therapeutics Inc w/ Goodwin Procter LLP, Hookipa Pharma Inc w/ HOOKIPA Pharma Inc., Ares Capital Corp w/ Kirkland & Ellis LLP, Quanterix Corp w/ Mintz, Levin, Cohn, Ferris, Glovsky and Popeo, P.C., Quanterix Corp w/ Quanterix Corp., Hookipa Pharma Inc w/ Shearman & Sterling LLP, Baycom Corp w/ Silver, Freedman, Taff & Tiernan LLP, Baycom Corp w/ Young H. Park, Esq. 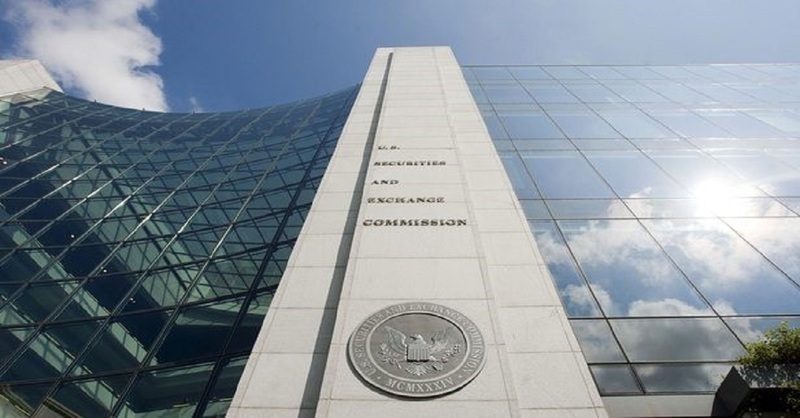 The SEC recently announced that its staff will host a public forum focusing on distributed ledger technology (DLT) and digital assets on May 31, 2019. As we discussed recently, Bitcoin and digital assets are growing in market popularity. The SEC has been watching their evolving use. The forum is being organized by the agency’s Strategic Hub for Innovation and Financial Technology (FinHub) and was announced in connection with the launch of FinHub last year. 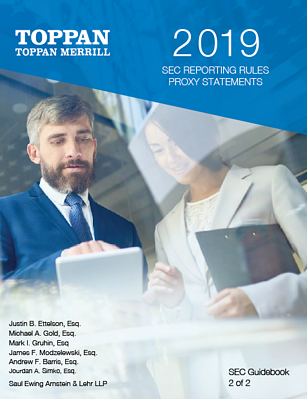 The SEC is focused on staying current with ever changing market data and technology trends, as outlined in their Strategic Plan.